When it comes to gaining an insight into Sheffield’s history of electronic music, Winston Hazel is a man you want to be hitting up. A true pioneer of the underground scene, the genre-hopping DJ and producer has been spinning tracks at some of the city’s finest parties for over three decades now, releasing the very first tracks on our fabled Warp Records label and defining the sound of bleep techno as one third of Forgemasters. With such a wealth of experience under his belt, it’s no surprise that he today spends time hosting lectures to inspire and inform around musical innovation. 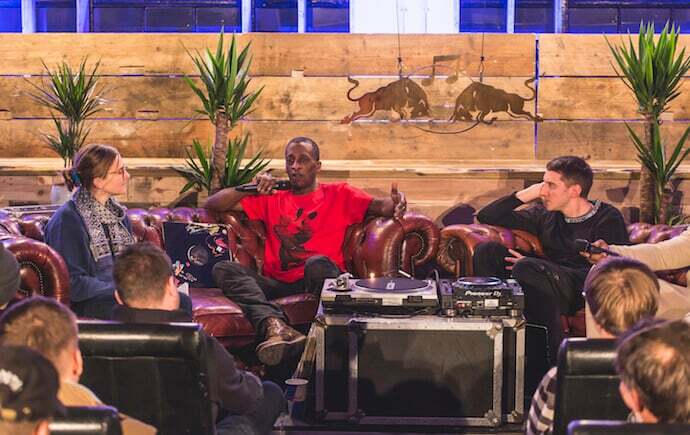 Ahead of one such talk for Red Bull Music Academy’s ‘Paths Unknown’ series, also featuring fellow native Toddla T and bassline innovator DJ Q, Ben Slater sat down with the local legend to discuss his illustrious career and the projects he’s working on today. 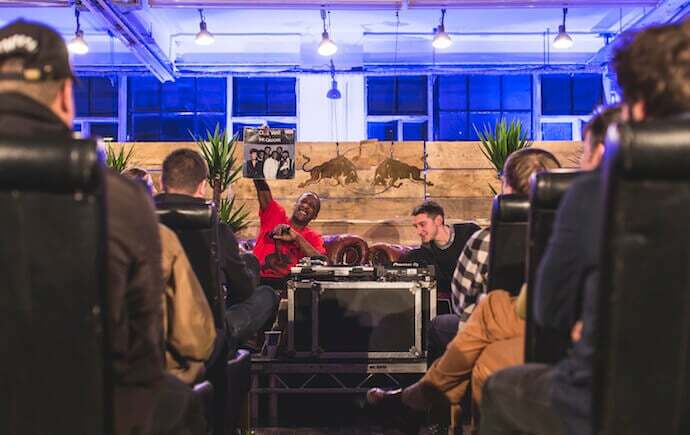 Do you do a lot of these lectures with Red Bull Music Academy? I do a lot of stuff with Red Bull, yeah. The first lecture was back in 2000, in the second year of their Music Academy [RBMA], which was in Sao Paulo. I did the London Eye thing they did as well, which was different DJs playing sets in capsules. I do lectures at Hallam [University] too. Do you enjoy imparting your experience of music onto others? Yea, I really enjoy it. I actually tend to remember stuff that I had forgotten! It’s not a story until someone asks you about it, and that tends to happen a lot in these chats. The lectures are more relevant now too. A lot of the stuff we did with Jive Turkey and pirate radio stations back in the day was outlawed. It wasn’t looked upon favourably by society so no one would write about it. But now that underground music culture has become more popular and socially accepted, people want to document it and get involved. Do you think dance music will go full circle, getting pushed back underground then coming back up again? It’s something I’ve always paid attention to. There aren’t that many things which I have been conscious of in the past but I think this is one of them. There was a period when it was about a 10-year cycle, through the 70s and 80s, and you could almost plan for it if you wanted. But now the cycles are so rapid they are impossible to keep on top of. There is such dissatisfaction with the status quo at the moment that I can see change happening in the next few years. It won’t come from politically driving forces because that’s what would have caused it; it’s more likely that something else will trigger it. Did you take your trip to Jamaica because you were becoming dissatisfied with the status quo? Were you looking for inspiration and influences, or was it more of a personal exercise? It was fully intended to be a mindfulness trip. I had become so immersed in music culture and drugs over here that I needed to get out. The whole thing was a massive revelation; I learnt to accept myself for the first time, accept my blackness. It was the first time I really started to think about what I was doing and where I was going. Was it quite hard accepting your blackness in Sheffield at the time? It certainly was for some people, but I didn’t give it much thought because I was able to move within broadly diverse and different circles – through music, theatre, dance etc. This allowed me to move away from the security bubble that many black people at the time lived in, which I felt stifled me at times. But because of that, I had become removed from my core, which is why Jamaica was so important for me. Would you say Jamaica and your consequent return was one of the most exciting times in your life musically? I had major, major revelations in Jamaica. It was exciting in terms of having a true grasp on what was possible with music, and the conditions in Sheffield were perfect for a dancehall/reggae sound. I would play the instrumental sides of the tracks I found in Jamaica along with other genres, and it started to sound syncopated, almost house-like. Did you find your new influences were what kick-started Kabal? Did you want a new stage for these new sounds? Kabal was born because Raif Wallace wanted to put on nights where he could hear his mates play and he could play too. That was around the same time I came back from Jamaica. Loads of nights were also formed in the same way: groups of people being pushed underground by their clubs closing, like Shellies in Liverpool for example. At the time anyone who was anyone on the Sheffield music scene lived on the Castle Court estate. It was social housing, really cheap rent and was basically like a clubbing hotel. This helped the scene and Kabal massively, which came from the Lights Down Low nights. Have you moved away from DJing at all since Kabal ended? I haven’t moved away from DJing, no. I just DJ the way I DJ, play the music I want to play, I was never a robot DJ. My thing was always just to love my tunes, play them through unrehearsed mixes and do it in the moment. The industry has taken DJing and put it in a completely different direction, which is fine but it’s not something I ever wanted. I moved to London when I was toying with becoming accessible, but it sucked the life out of everything. I had to move back to Sheffield to reconnect. A bit like Jamaica, in a way? Yeah, London is only good if you’ve got your people, mates and collaborators there. I had a few but it wasn’t my thing, it felt like I was going to someone else’s thing. This is what I’ve found with London – opportunities tend to be saturated. Do you find opportunities easier to by in Sheffield? You can create your own destiny in Sheffield. If you do something good here, it can catch on really quickly. If I knew exactly what I did then I would have been able to make it in London, but I didn’t. I’m an edgeless DJ. When I was trying to research you it was quite hard, as your career has been quite understated/underground. But it’s hard to market yourself as that, it would be a paradox. The city is reflected in my career. Much like me, Sheffield doesn’t shout about itself and it doesn’t wear itself on its sleeve, but it quietly gets on and does its thing, which is what I like about it. We all knew that it was only a matter of time before our music became commercial, because there is a commercial underground which has its own appeal. Underground doesn’t mean anything anymore, but it used to bind the disenfranchised or the outlawed who didn’t conform. Music or the arts weren’t deemed to be proper jobs before, and now they are rightly looked on more favourably. How have students had an impact on the scene in Sheffield? When you started it wasn’t a proper student city, but now there are over 30,000 students at Hallam alone. It’s meant that there are more people around, so the conditions are right for something like Jive Turkey or Kabal to start up again. But you can’t create the perfect conditions for that because the population is so transient; most won’t be here for longer than four years. Lots of people here don’t have to live with the fact that they are going to stay here, and it’s that desperation which was the driving force behind the creation before. 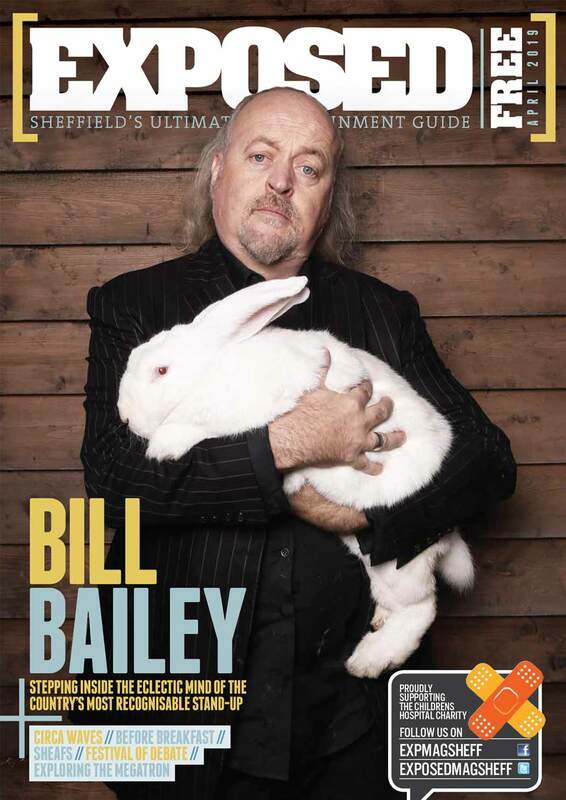 Is the future of Sheffield music bright, then? The future of Sheffield is whatever we want it to be, and we need to stick our necks out and not give in to commercial pressures to allow that to happen. I think we need to hold onto that tooth and nail.